Life in Liverpool is changing. The two football teams are winning matches, and tickets for games are more difficult to obtain. Human beings like winners, and blaming victims makes for comfortable thinking. Before the last century our literary heroes and heroines belonged to the affluent and aristocratic. Shakespeare may have indulged the British with patriotism but he was never tempted to be sentimental about the ordinary. His suspicions and contempt continue, which is why we now worship celebrity and glamour. The world of success is claustrophobic but we prefer it that way. It suggests that the good life for the healthy and gifted will prevail over twisted fate. Today, the British establishment regards the sick and disabled as an economic blight that should be confined to their own world. Poverty will be their prison walls. Tony Blair thought that the sick could be wished away, as they do in the movies. Sickness is not always infectious but it always corrupts fantasies. It exists as an irritating reminder of the threat and power of fate. Whenever the cancer of Walt White produced a coughing fit in ‘Breaking Bad’, his co-conspirators edged to the corners of the room. Mainly, our need for pristine comfort outweighs sympathy. Walt does receive sympathy for his illness but it is restricted to his family and the medical professionals. Vampires and zombies are the victims of an infection. But, like coughing Walt White, they are different, threats that must not be allowed to win. Empathy is not alien to the human condition, which means that we are not consistent in how we respond to these threats. If a vampire or a zombie has a family or romantic connection, our attitudes change dramatically. Most nights Buffy slaughters a vampire, often more than one. Angel, her boyfriend, is different. He is kept alive and, providing he does not lapse into his un-dead state, justifies the occasional discreet snog. But we all know that Buffy is taking a terrible risk, like the beautiful Hollywood nurse who against advice selflessly devotes herself to helping the sickly poor. We grieve when we see the excess sweat on her face. Usually, though, the beautiful nurse will have a broken heart anyway. We understand the inevitability. The infected lie in wait for the loveless. And it is others that infect humans. In movies and horror novels, the actual disease or infection is guilt free. But sickness can happen to our family and even ourselves, so we watch vampires and zombies not sure what to think, whether to condemn or be sympathetic. Zombies, though, are many. They stink and are grotesque and have to be extinguished by violence. If we have too many sick, this is what happens, argue fascists. Best kill the NHS and let them rot. Some vampires, though, are aristocrats and have impeccable manners. We want to know if they are suffering or have regrets. Dracula is an aristocrat and his infection is a dreadful confirmation. Infection spreads as far as the worthy and supposed superior. Howard Jackson has written about horror in his own books and contributed to anthologies of literary criticism. He is currently producing a Zombie anthology for Red Rattle Books. If you want to read more click here. 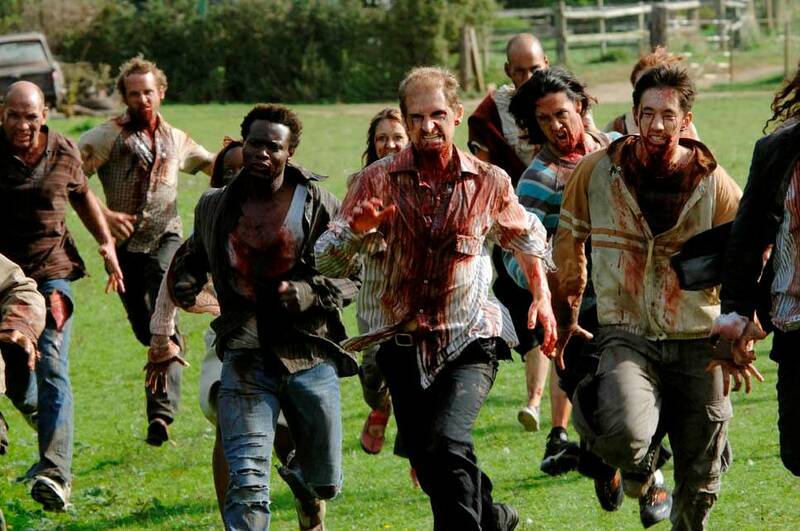 Posted in News and tagged politics, vampires, zombies on March 29, 2014 by Howard Jackson.